I just installed the Aurora HDR 2019 software https://skylum.com/aurora_hdr/2019 and tested it on one image from my Provence trip earlier this year. 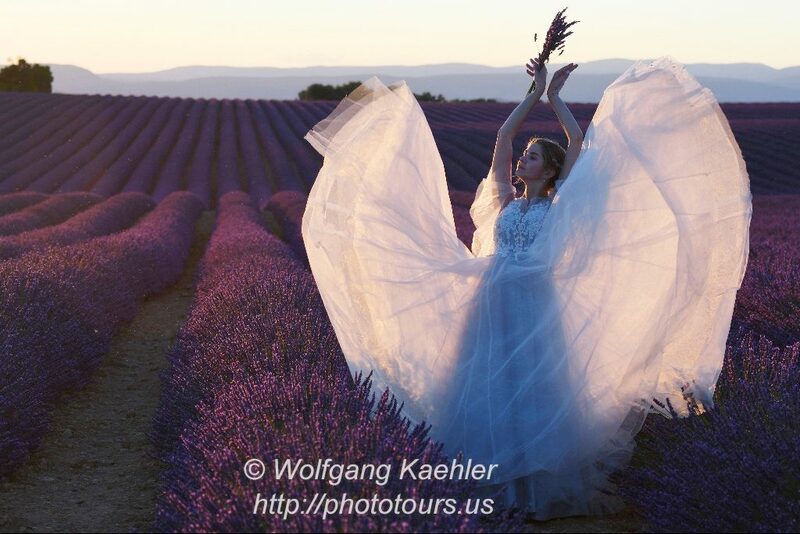 In the lavender fields we photographed a Russian bride just before sunset. We had strong backlighting and I thought that I will bring up one of the photos in Aurora HDR 2019. Within a few seconds I got a nicer result, bringing out more details in the shadows and also details in the overexposed sky. The program offer several presets which makes the workflow easy and fast.